I love them so much as a couple! Thanks a lot for this sweet and cute wall of them. ooh pretty. thanks for the cute wall! you can make sweet wall for them! I love this picture! It's so kawaii! Thank you thank you! I've been trying to find this! omg... 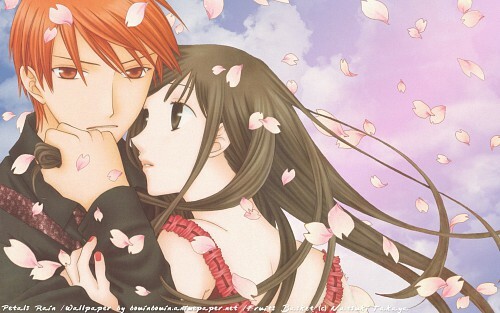 I absolutely love that pose of Tohru and Kyo! Kyaaa! >_< Love it!